Grails is a full-stack web development framework that enables you to build complete web applications in a fraction of the time and with less code than other frameworks. Grails uses the principle of convention over configuration and the dynamic Groovy programming language. 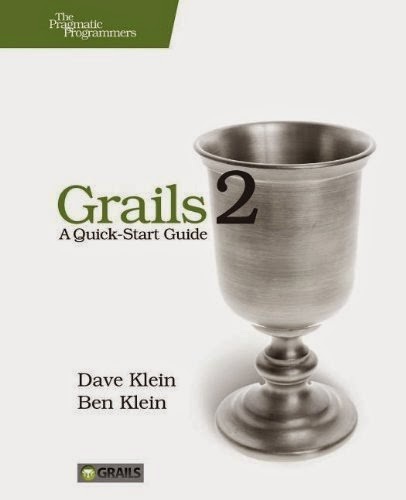 This revised and updated new edition shows you how to use Grails by iteratively building a unique, working application. By the time you're done, you'll have built and deployed a real, functioning website. Using this hands-on, pragmatic approach, you'll explore topics such as Ajax in Grails, custom tags, and plugins. You'll dig into Grails' powerful view technology, Groovy Server Pages, and see how you can easily leverage the help offered by scaffolding to create custom user interfaces faster than you would have thought possible. Along the way, you'll learn about domain classes, controllers, and GSP views. And you'll see how Grails enables you to use powerful frameworks such as Spring and Hibernate. With Grails, you can get a lot done with little effort. With this book, you'll get a lot done as well. Get started with Grails today. Grails 2 will run on any machine that supports Java. Grails applications can be deployed on any Java Servlet container, including Tomcat, Jetty, WebLogic, JBoss, and Websphere.